This venerable old elm on the banks of the north fork of the Holston River became one of the most famous trees in Tennessee. It stood throughout the early history of the state and witnessed the struggle for statehood from Virginia and North Carolina. The elm was mentioned in Dr. Thomas Walker’s journal of his surveying exploration in 1748, the earliest known record of a Tennessee tree. It stood only a few miles from the Long Island of the Holston, the beloved sacred ground of the Cherokees. The island and surrounding land, including the tree, were traded to the settlers in the Long Island Treaty of 1777. The elm also mentioned by an early party of French travelers in the area, and Daniel Boone reportedly camped under it on one of his famous journeys into Kentucky. The river ford near the tree was one of the great early highways between the Valley of Virginia and the Valley of Tennessee until 1818 when the Reverend Dr. Frederick A Ross built a bridge to his lavish Rotherwood Estate, which featured a cotton mill and was known far and wide. The business eventually failed and in 1852, Doctor Ross lost his entire estate. 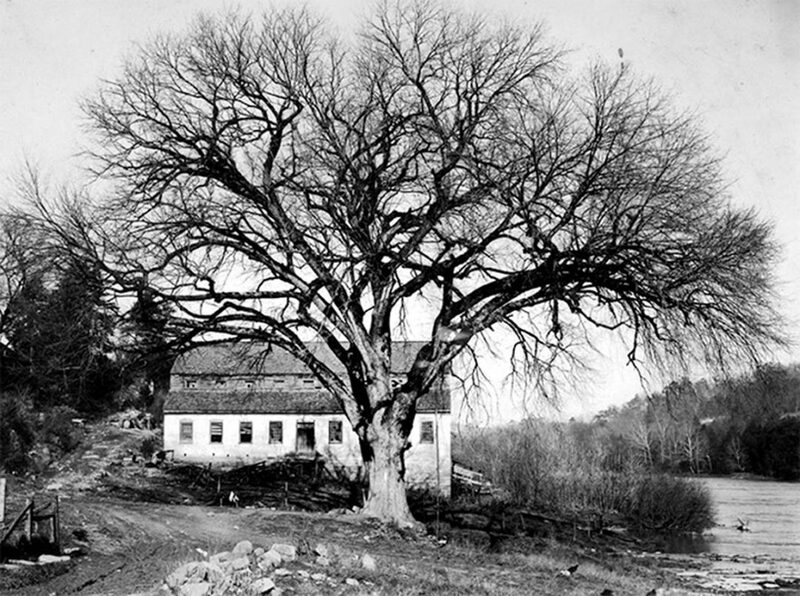 The old tree, however, remained a landmark in Kingsport until its death in the 1940s.